What can I say, I like orange, I like margaritas, and I like trying new things. So, I figured I'd see what came about from the following combo and I'm pretty sure if you like these things, you'll like this, too. Pour all ingredients into a shaker with ice and shake. Pour into a margarita glass or a rocks glass. Can serve on the rocks or straight up. 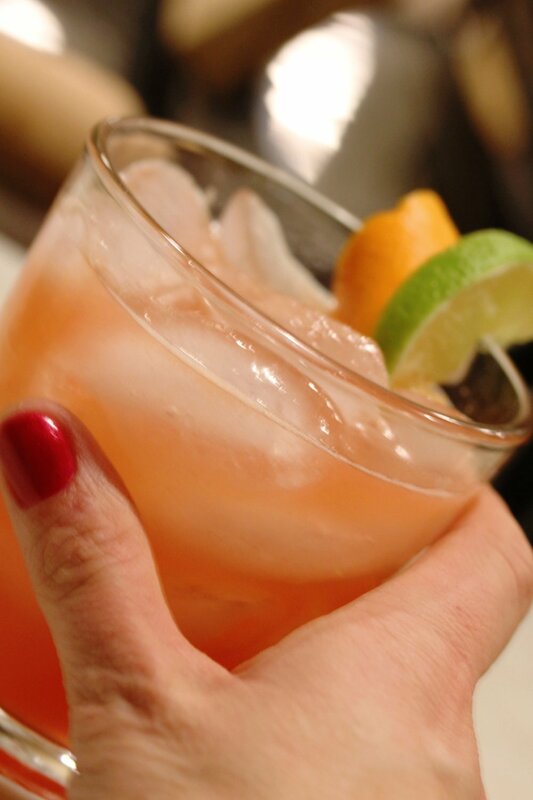 Garnish with an orange twist and a lime wedge. Cheers! Who doesn’t loves to serve margaritas!? A quick how-to in making your own margarita bar and what you need!